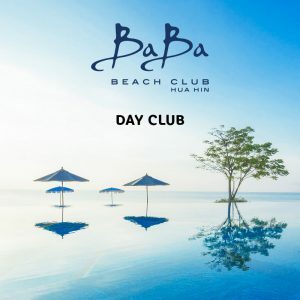 Baba Beach Club, Hua Hin perfectly embodies the aspects of idyllic luxury and elegance with a relaxed as well as energetic atmosphere, located in the pristine beach land between Cha-am and Hua Hin scattered across 12 rais in the exclusive beachfront community, Thew Talay Estate. 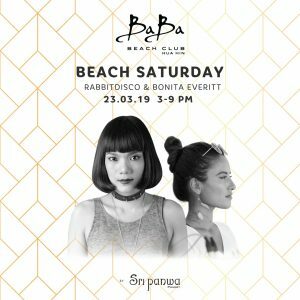 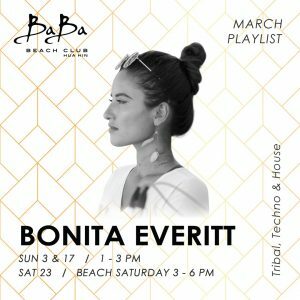 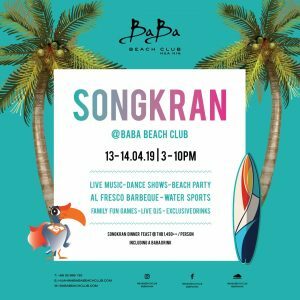 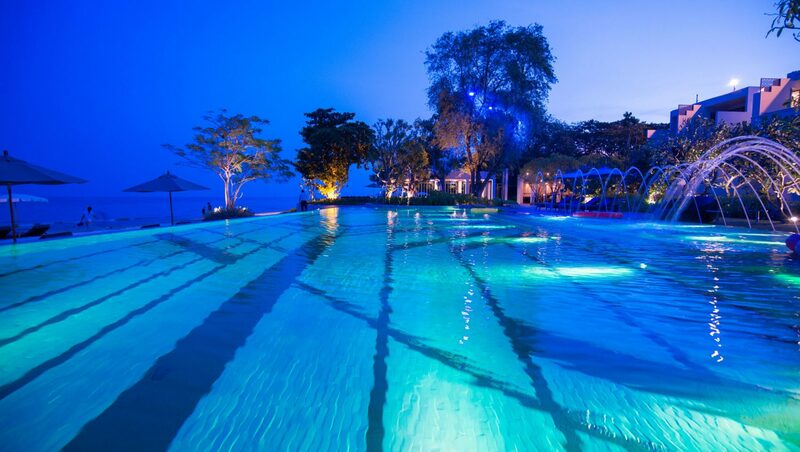 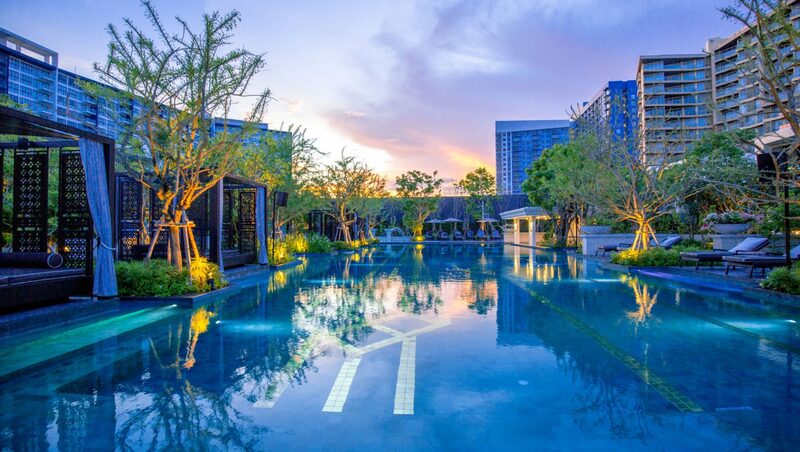 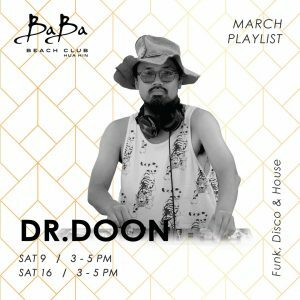 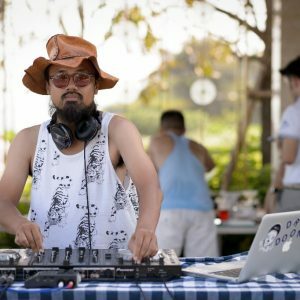 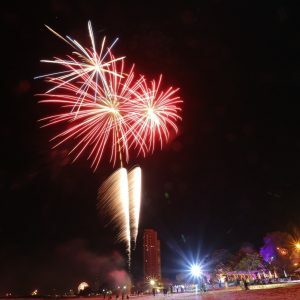 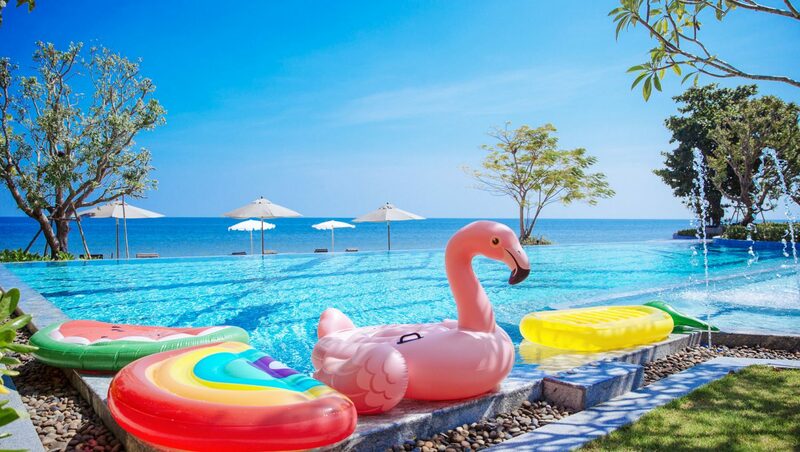 Managed and developed by internationally acclaimed luxury pool villa hotel & residential estate Sri panwa, Baba Beach Club Hua Hin is both decadent, hip, and unpretentious while presents itself as a music lovers hotel with live entertainment every weekend. 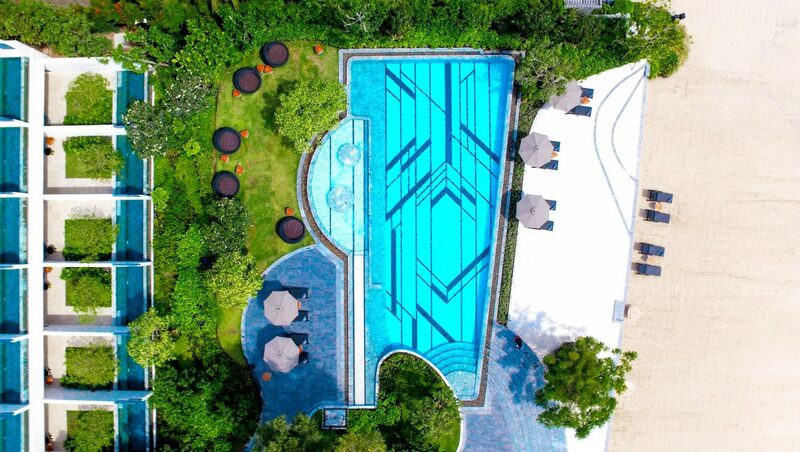 With a collection of larger luxury pool villas and beachfront pool suites in a Neo-Colonial style combining the colonial architecture of Hua Hin with modern design, rich in beauty and charm. 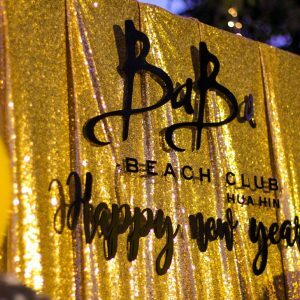 Offering stylish beachfront living with a 160 meter beachfront, beachfront entertainment swimming pool, Cool Spa, Baba Beach Restaurant & Bar, Baan Chok Beachfront Café & Eatery, fitness center, wedding & event space, beachfront courtyard garden, and more. 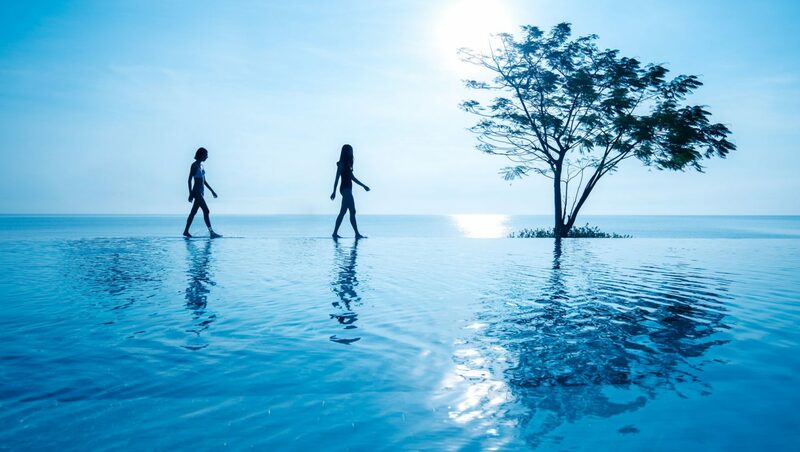 Managed & developed by the team behind the award-winning internationally acclaimed luxury pool villa hotel & residential estate, Sri panwa. 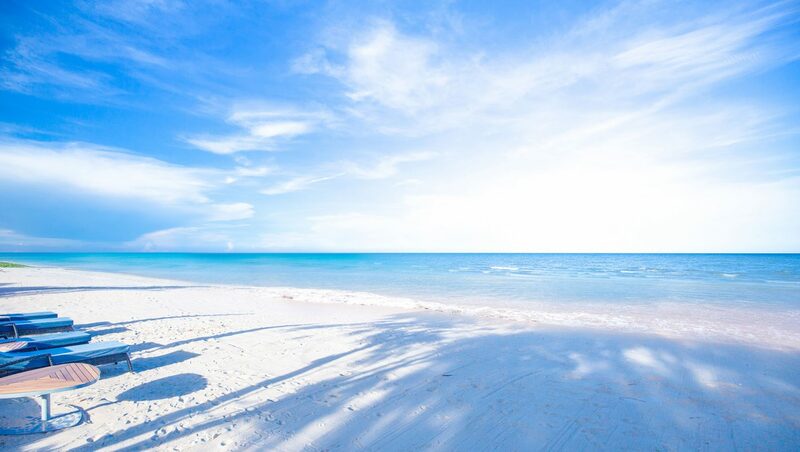 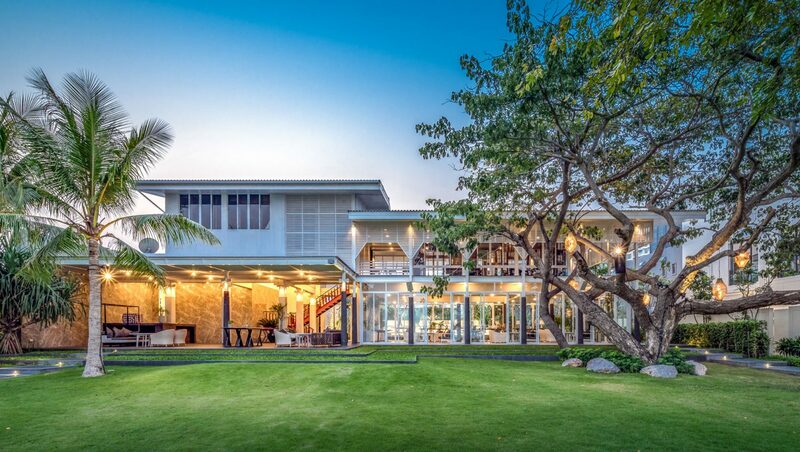 Member of the ultimate beachfront community of the award-winning Thew Talay Estate located between Cha Am & Hua Hin. 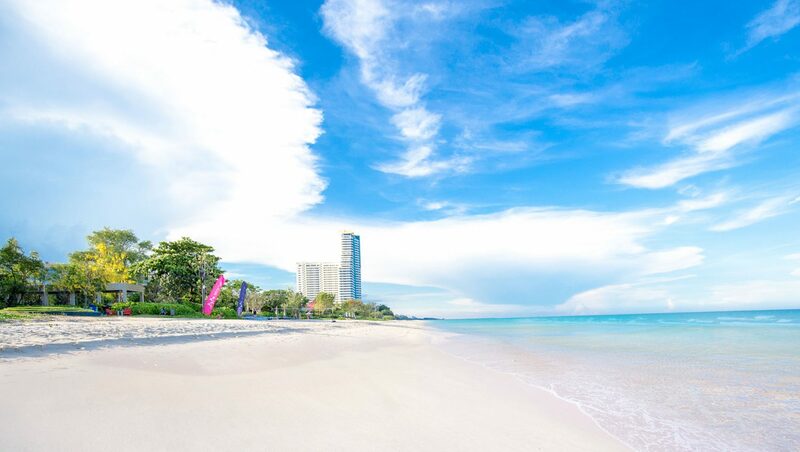 Unobstructed pristine beachfront location with a 160 meter beach. 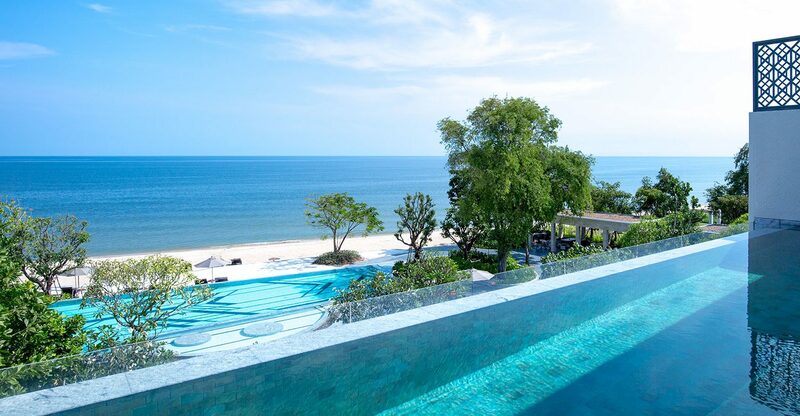 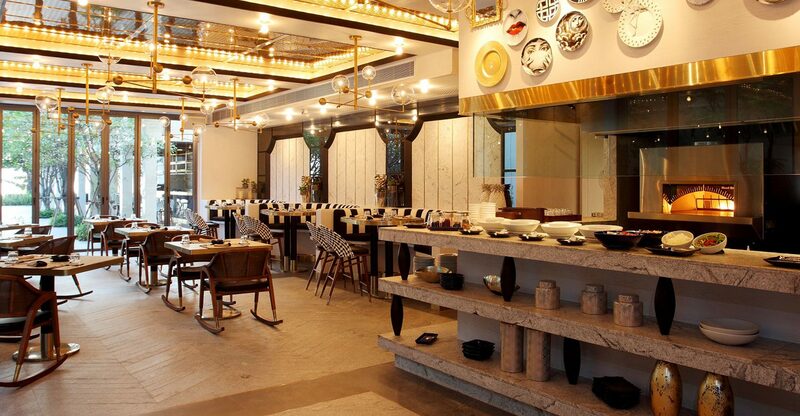 Stylish beach club hotel with a Neo-Colonial design combining the iconic Colonial style of Hua Hin with modern design. 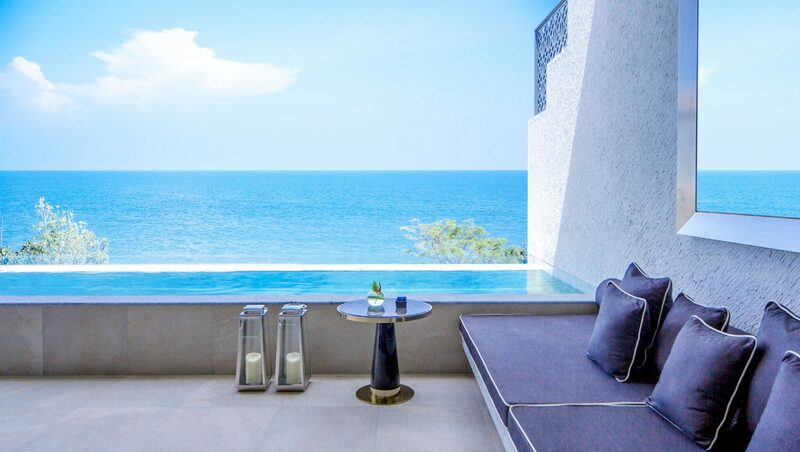 Exclusive collection of beachfront pool suites & private penthouses as well as three & five bedroom private luxury pool villas. 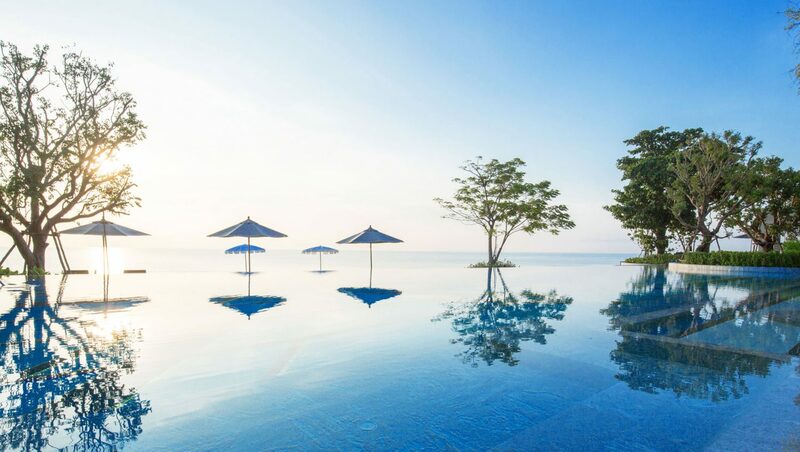 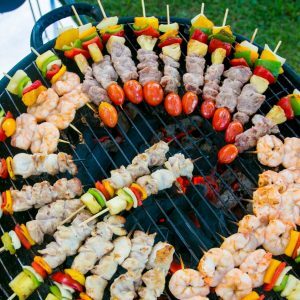 Extensive luxury facilities including Cool Spa, beachfront entertainment pool, beach restaurant & bar, beachfront wedding & event space, a fitness center, executive meeting room, steam room, garden pool, and more. 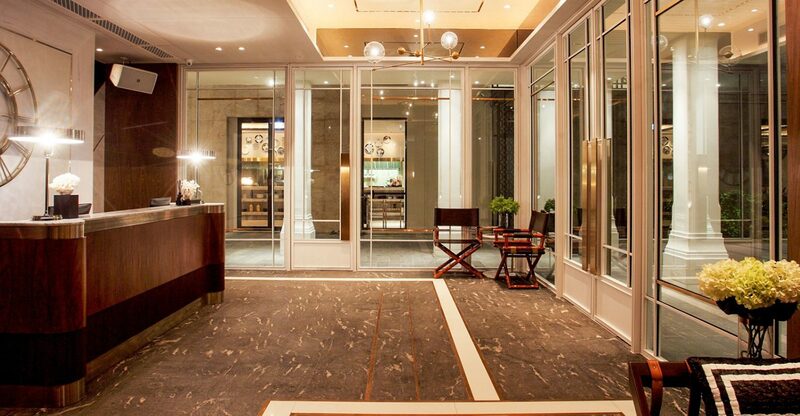 Convenient access to downtown shopping centers, famous attractions, local markets & landmarks, and golf courses. 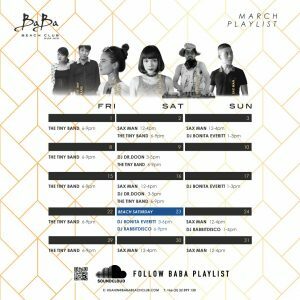 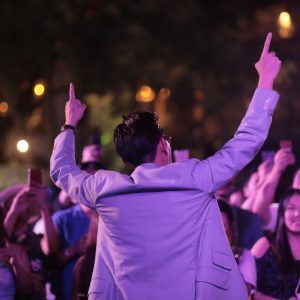 *As a Music Lovers Hotel, we take pride in playing music throughout the hotel. 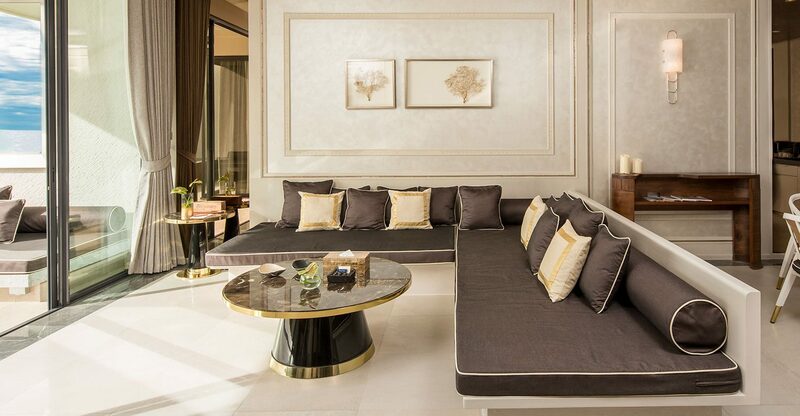 Please note that music can therefore be heard from the comforts of your own suite or villa.